Not all auto repair shops are equipped to provide diesel engine repair. That’s because diesel engines operate differently from gas engines. Before you let just any auto technician tamper with your vehicle, turn to our specialists for accurate and comprehensive diesel car repairs. We are qualified technicians that have extensive experience in diesel engine repair. It takes more than the proper tools to repair a diesel engine. As highly-skilled mechanics, we take pride in diagnosing any engine problem and providing affordable repairs. Whether you have a small diesel car or big pickup truck, you can depend on Orozco’s Auto Service to get you back on the road again. Is your car noisy or producing excessive smoke? These are two signs that indicate you need engine repair. 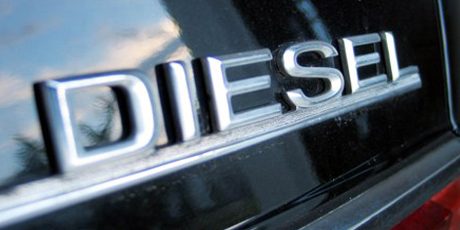 Although they are very durable and reliable, diesel engines still break down just like any other engine. At the first sign of any problem, it’s important to bring your vehicle to Orozco’s for diesel engine repair. We know these types of engines inside and out. Since we are skilled at repairing all types of problems, you can trust our technicians to ensure the repair job is done right the first time. Unlike gasoline engines, diesel engine systems use their own compression to ignite fuel. They have significantly more compression in the chamber than gas-powered engines. This means that the air-to-gas mixture is very different as well. Due to the extreme compression, external sparking is not necessary. Built without spark plugs, a diesel engine runs more efficiently using glow plugs. Many of the new models get 500,000 miles without the need for a rebuild. Diesel fuel will oxidize and form residues that deposit in fuel injectors and combustion chambers. These deposits will drastically affect the engines performance by clogging fuel injectors and creating irregular spray patterns. This service is designed for concentrated cleaning of the injection pump and injectors. At least once a year or when fuel related issues are present in a diesel fuel injection.